Symbiotics began its journey with a handful of software developers in May 1996, led by CEO, Mike Love. The company is privately owned and flat in structure enabling us to remain agile and responsive to customer needs. The pioneering spirit developed in the early years has never left us and we continue to breach new technology boundaries which are beneficial for our clients and exciting for our team. Over our 22 years in the industry, we have developed enviable, long-term relationships with our clients. We believe in truly partnering with our clients, a relationship that enables us to maximise our value. In addition to our software development services we also offer hosting and cloud enablement, which is becoming a high demand service as business leaders start to realise the benefits. 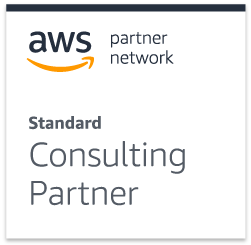 Symbiotics is an AWS Consulting Partner, with AWS accredited team members, enabling us to offer a robust and reliable solution to our customer base. Our enviable, long-term client relationships enable us to maximise our value. An uncompromising focus on product quality is inherent in all our engagements for which we are prepared to contract. “Exceeded expectations” is our minimum level of acceptance! Applies to personal, career & company development. A hunger for knowledge fosters a unique creativity in the way that we learn, allowing the lessons learnt to be ingrained into who we are and enabling smart application of knowledge. We also understand that the learning process is an iterative one that needs to be continuous to be successful. Thus we make learning a daily habit. Positively contribute to our environment. Understanding the effect our environment has on us, drives us to doing whatever we can to actively contribute towards a better environment for all. This is exemplified by our 20 year relationship with Girls and Boys Town. Minimum required is never a target. In order to build a better environment and to continue our learning process, we must grow. We can only grow by expanding our horizons and pushing the boundaries. Therefore we must do our best to exceed expectations and consistently go the extra mile. Treat all with all 3 at all times. The outcome of this principle is longevity of relationships with our team members, clients and social beneficiaries. We empower our team members to take the initiative wherever possible as this not only contributes towards their personal growth, but also radiates trust.